Why Cook with Fiji Gas? When we think ‘Festival’, we think fast food, fairy’s wheel rides, candy floss, fun, games and family time out and about at the festival grounds. July – September is the busiest time of the year and every town runs its very own week long festivals. From Suva to Ba to the Northern towns, Fiji comes alive in Festival Spirit. Festivals are a great platform for charity drives and many, if not all, festivals target various charities or community projects to develop through funds raised from the weeklong festivities. 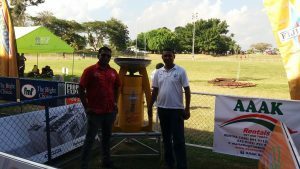 Fiji Gas through its sponsorship guidelines identified several festivals this year to partner with to drive our brand and product awareness and to give back to the communities in which we operate. We have been part of the festivals for many years now as flame sponsor. We’ve been at the beginning and end of each festival. Our flame has become a symbol of prosperity and good will. You would have seen our yellow cauldron fired up at the opening and closing of festivals all over the country. Here’s a recap of the festivals we’ve covered so far over the last month and a bit more about why we choose to support the ones we did. Established in 1960, the prestigious Bula Festival is the largest public event in the western part of Fiji. In 2015, Fiji Gas made the choice to expand our participation in the Nadi Bula Festival to become the sponsor for Priscilla Night. Our commitment to the Bula Festival stems from growth of our social responsibility in giving back to communities in which we operate and supporting initiatives that create value and respect for all. Why Priscilla Night? Because, in a diverse community like ours with unique cultural, religious and gender outlooks, we need to be respectful and tolerant of the different dynamics of people. 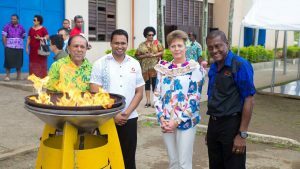 The Chief Guest of Priscilla Night was officiated by Vanessa Kilner, the National Sales and Marketing Manager, Fiji Gas. Celebrating the theme of the night “Transition starts where you live”, Vanessa spoke on the topic Choices, reiterating that“transition only starts with making a CHOICE”. We live in such a diverse community today with strong cultural, religious and gender outlooks. We need to be appreciative and respectful of these outlooks and making the choice to do so can only serve the building of our characters and communities, positively. Make the commitment to lead transition in our communities, starting with making good sound choices. The Nadi Bula Festival was held at the Prince Charles Park from 22-29 July. 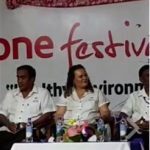 Dubbed the BIGGEST Festival in the South Pacific, the Hibiscus Festival was held from 19-22 August at the Vodafone Arena in Suva. Fiji Gas has been a long time supporter of the festival supplying gas to food vendors and most importantly, being at the very beginning and end of the festival with our flame. The festival of the Friendly North was one of the most well planned and well executed festivals that we have been to so far this year. And for a small festival in the upper Northern Division of Fiji, the festival was full of life and cheer. The festival was held from 22-29 August in Labasa town. This year was extra special. The festival was one of the first events to be held on newly flattened land opposite the Labasa Court House that will be used for major developments in the coming months/ year. You can watch snippets of the night programs on their facebook page www.facebook.com/Festival-of-the-Friendly-North. Keep an eye out for more updates on Fiji Gas at the upcoming Sugar Festival later this month! © 2016 Fiji Gas Limited. All Rights Reserved.